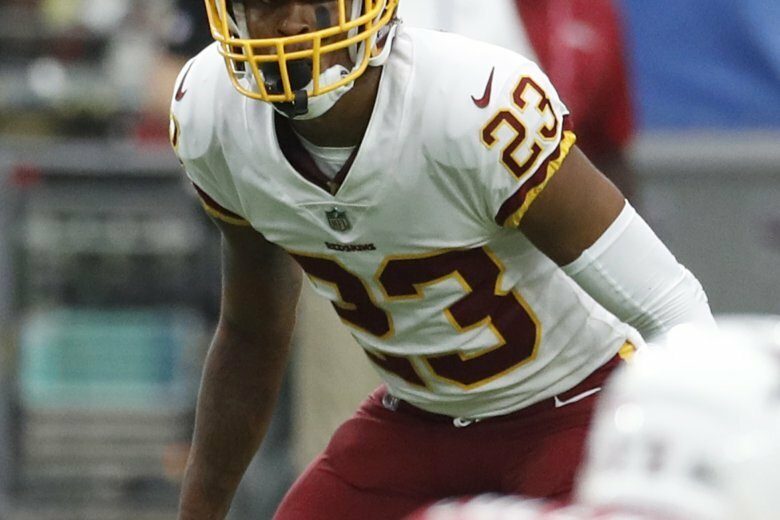 Quinton Dunbar helped shut down Fitzgerald and other receivers in Week 1, picking off Sam Bradford and looking like the kind of player the Washington Redskins envisioned when they converted him from wideout to cornerback. His next challenge is Andrew Luck and the Indianapolis Colts' passing attack as the Redskins look to start 2-0 for the first time since 2011. Dunbar helped shut down Fitzgerald and other receivers in Week 1, picking off Sam Bradford and looking like the kind of player the Washington Redskins envisioned when they converted him from wideout to cornerback. His next challenge is Andrew Luck and the Indianapolis Colts’ passing attack as the Redskins look to start 2-0 for the first time since 2011. Dunbar should continue to get plenty of playmaking opportunities because he’s starting opposite 2015 All-Pro cornerback Josh Norman. Luck, who missed all of 2017 with a shoulder injury, is coming off a 39 of 53 passing performance with 319 yards, two touchdowns and one interception in the Colts’ season-opening loss to Cincinnati. Luck — and then Green Bay’s Aaron Rodgers in Week 3 — are significant tests for Dunbar, who insists he looks forward to every matchup and doesn’t take anyone lightly. What he does is trust what he sees on film, combined with what coaches have taught him about the position. He’s has gotten to the point where he’s not a work in progress anymore. Indianapolis kicker Adam Vinatieri is three field goals away from tying Morten Andersen’s career record of 565 and is ready in case the conditions aren’t ideal. Redskins QB Alex Smith has likewise played through everything during his NFL career, but doesn’t have any secrets about dealing with wacky weather. While offensive coordinator Nick Sirianni was impressed with the effort, the Colts’ offensive line was not at its optimal. Longtime left tackle Anthony Castonzo missed the game with an injured hamstring, forcing Joe Haeg to move from the right side to the left, and veteran J’Marcus Webb played right tackle. Washington’s 182 rushing yards in Week 1 led the NFL as Adrian Peterson and Chris Thompson put together the mix-and-match, one-two punch Gruden hoped they’d be. While Thompson is a weapon in the passing game and can turn on the speed outside, Peterson has the straightahead style and ability to bounce runs anywhere.